It has been quite a while since I have seen an email from NY Bite Club. So when one hit my inbox earlier this month, my fingers were already poised on the reply button and reflex kicked in. This was how DC and I came to find ourselves knocking on the door of the club on a bone chilling Saturday night. We were a tad on the early side but that just meant that we were able to spend a bit of time chatting with Alicia and Daniel and meeting the other guests before dinner commenced. The menu, revealed only the day before the dinner, was full of ingredients of the season. We started the meal with an apple rutabaga bisque. 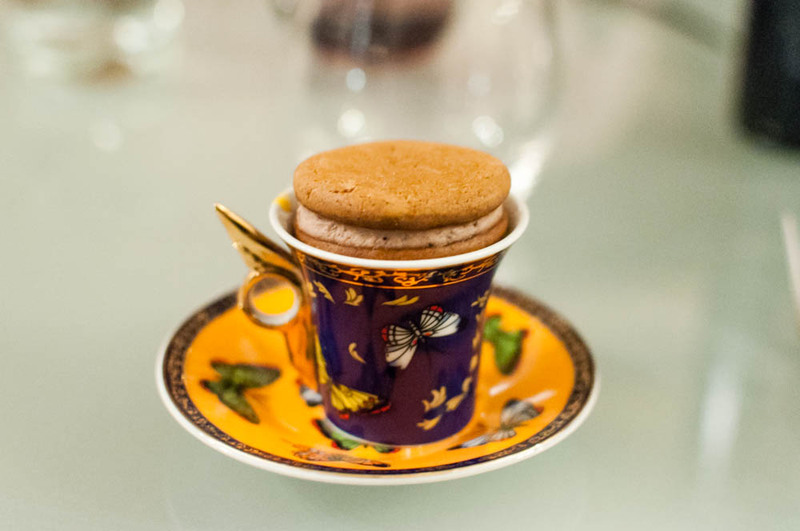 Placed on top of the delicate teacup was a ginger snap cookie sandwich filled with foie gras. After taking a bite, I was able to finally dip the cookie into the silky smooth soup and the combination just tasted of fall. 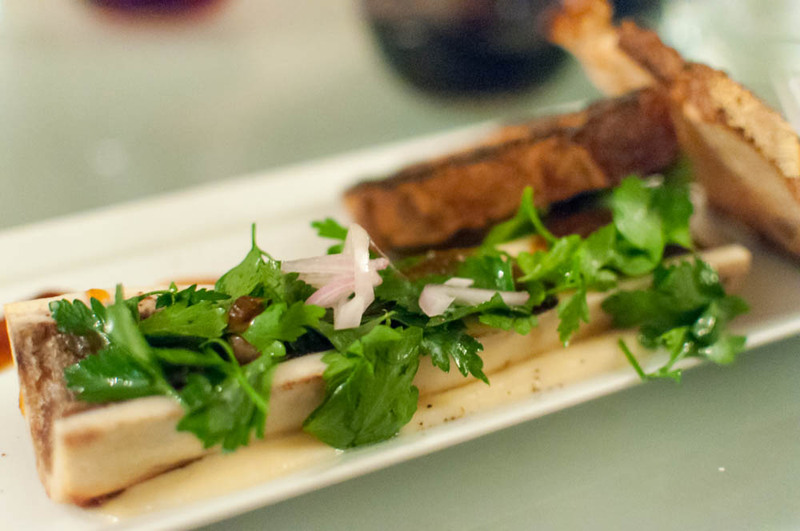 Next, we all received our own piece of roasted bone marrow topped with a refreshing parsley and caper salad. 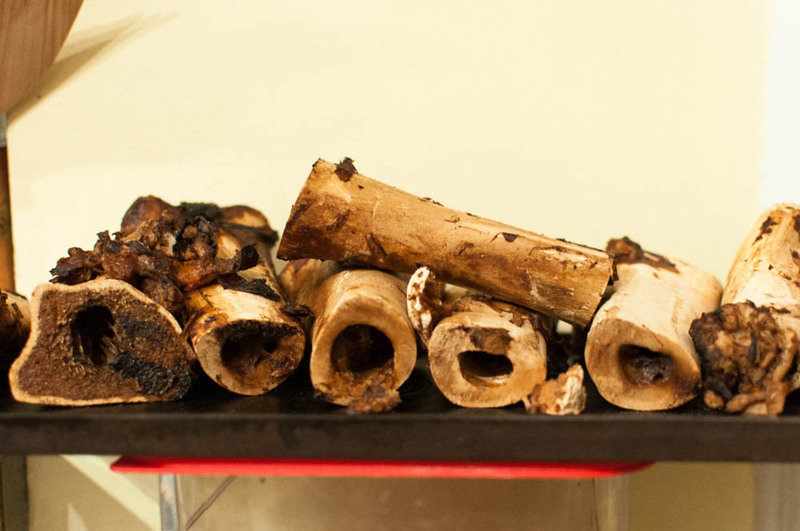 The bone marrow was served with two slices of toasted thick bread. I smeared a bit of the marrow on the bread with a swipe of sweet garlic preserve and topped with a few leaves of parsley. What a perfect bite. 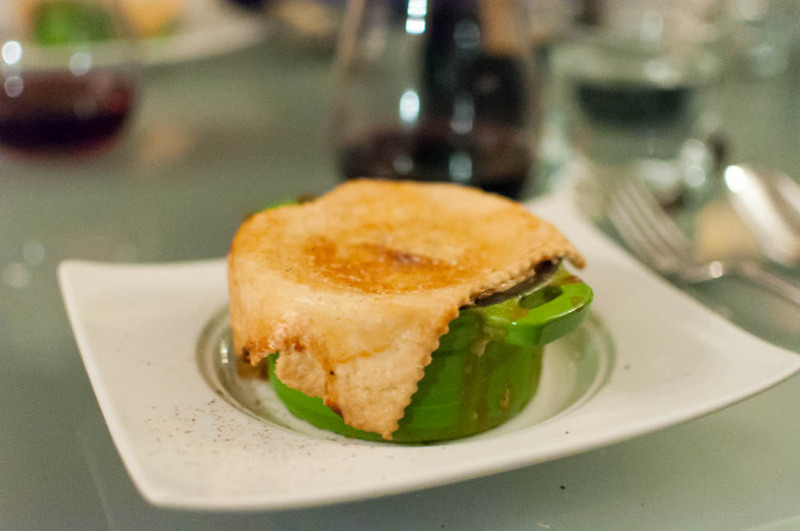 The next dish that arrived was an adorable lobster pot pie. While we waited for the table to be all served, I couldn’t resist breaking off a piece of the biscuit. 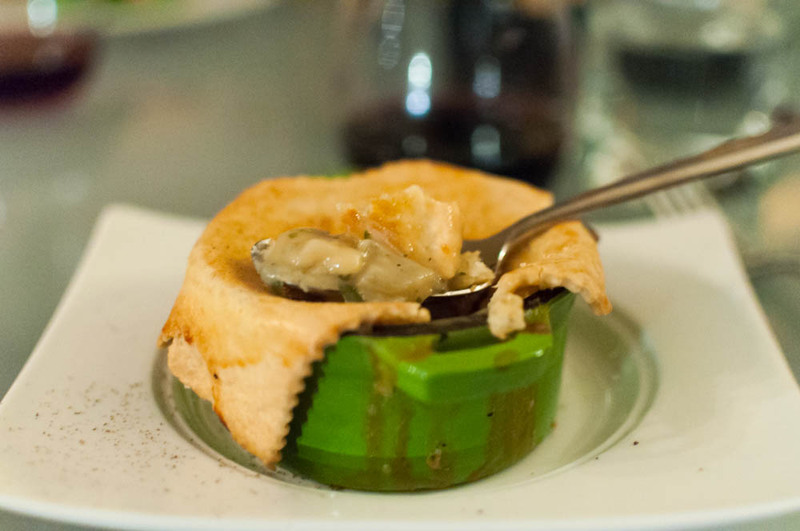 It was even better dipped into the savory filling inside studded with tender lobster and sweet pearl onions. And finally, the main course of the night, duck on duck. I had been looking forward to this all night. 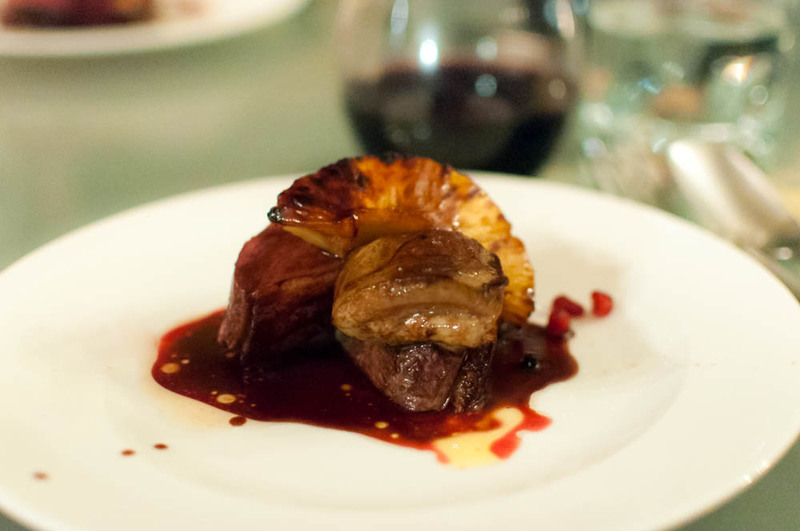 Seared duck breast was topped with a grilled half ring of pineapple and a lobe of seared foie gras. All of this was finished with a demi glaze and a sprinkle of pomegranate seeds. 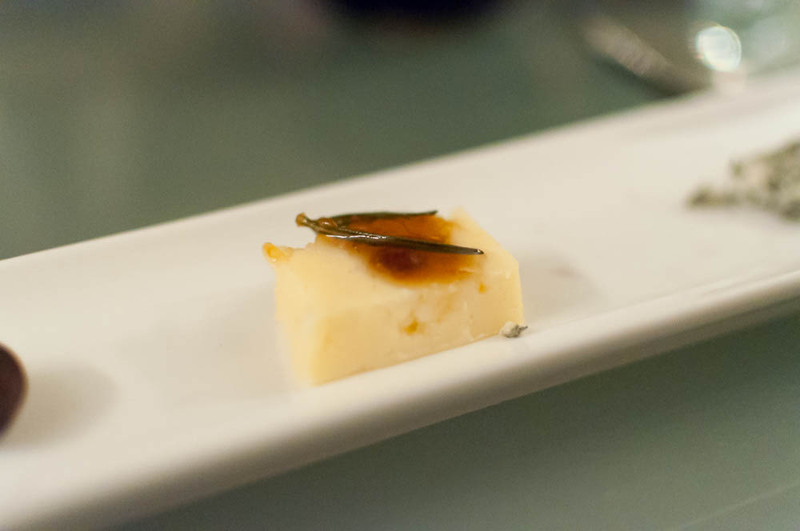 The foie gras had a lovely sear with a tender and creamy inside, perfect with the sweet juicy pineapple. The duck was followed by a palate cleanser and cheese course before we headed to dessert. 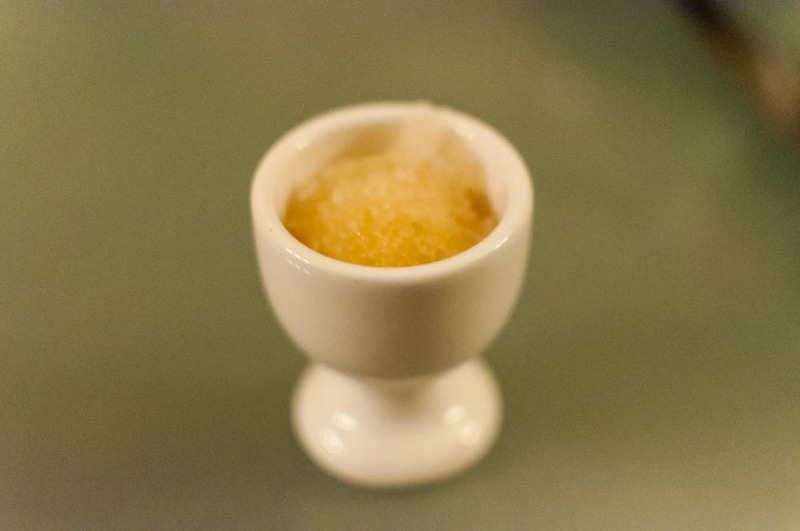 A tiny scoop of refreshing apple reisling granita with rosemary was just what I needed. 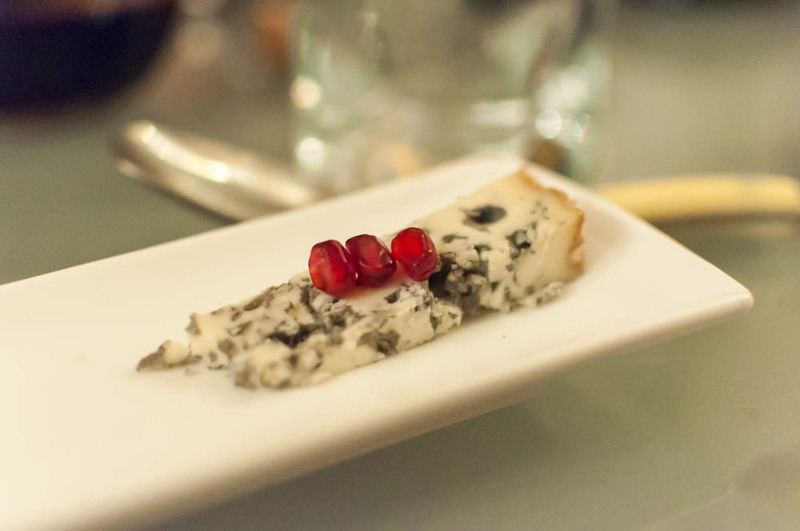 The cheese plate came with three types, a soft and ripe L’Explorateur, a sharp cloth bound cheddar and a strong blue of sheep and cow. I love having just a little bit of cheese before diving into dessert. There’s something so French about it all. 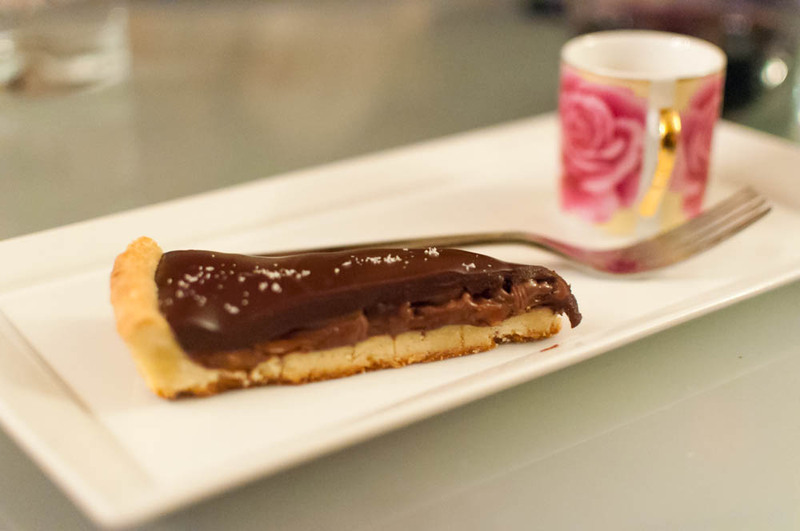 And finally, we ended our lovely meal with a slice of nutella toffee tart. The homemade shortbread crust was the perfect vessel for the triple layered tart, a bit of bittersweet salty chocolate ganache, crunchy buttery toffee and the creamy nutella. 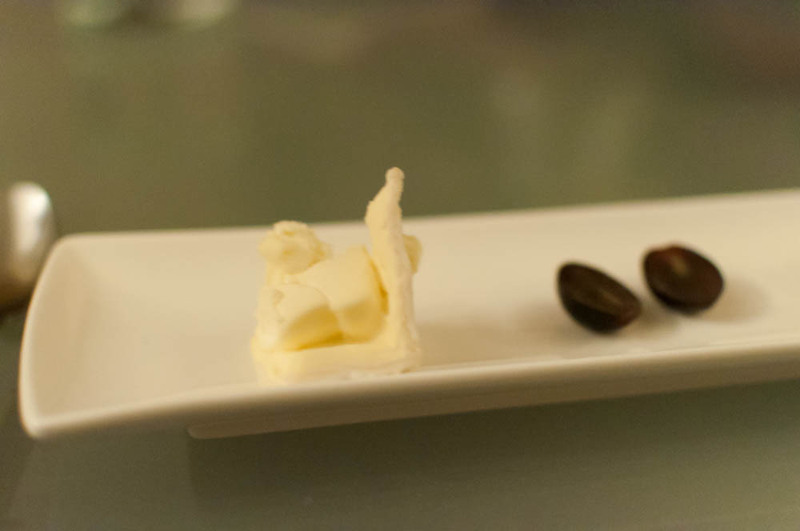 What made this one of my favorite dishes of the night was the small shooter of salted hazelnut. Served chill, this concoction of milk, cream, salt, sugar and nutella started off salty and finished with the perfect balance of salty, sweet and nutty. What another beautiful meal at NY Bite Club prepared by Daniel and Alicia. Like always, I enjoyed the company of my fellow diners and came with inspired by the meal and our hosts’ passion for food.